The Italian Association of Singapore has a long history of serving its members and the greater Singapore community through the generous partnership of corporate and individual sponsors. Their support helps make possible a variety of well attended events and programs that address the needs of the broader expat community. IAS has formed business partnerships with the following companies in order to make their services available at discounted prices for the IAS Members only. Simply show your IAS Membership card and enjoy these great deals. A partnerships provide an important and necessary service to our society. IAS works closely with them to help raise their profile in the local community. Our partners will have their branding on our website, editorial and advertising in our newsletter and participation in our major events. Partnerships enable us to achieve our mission of bringing the community together. Their generous support allows us to foster a sense of belonging among local individuals and families through events such as the2nd June, 25th April, Summer and Winter BBQ event and the activities of smaller social get-togethers and initatives. Your support helps make possible a variety of well attended events and programs that address the needs of the broader expat community. Become an Annual Partner or Event Sponsor. If you or your organisation is interested in supporting our work on an annual or event-specific level, please contact the Business Development Manager at info@italianassociation.com. Are you not a member yet? Wait no more and go to the membership page! Please always confirm with our Commercial Partners the discounts applied. Good Food is the new online grocery dedicated to people and family by providing quality food and beverage products for a better daily quality of life. For the Italian Association Members we offer 5% discount on minimum order of 70SGD using the code password IAS. All terms based on our website. You can pick all the delicatesse and at the check-out have the discount key-in the pass-code. 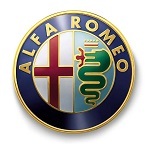 Alfa Romeo Singapore sees EuroAutomobile Pte Ltd as the sole distributor of Alfa Romeo in Singapore since 2002. The New Alfa Romeo Giulietta 1.8 QV is all about racing performance. Delivering 240 bhp, it covers the century sprint in 6 seconds flat, the fastest 5 door Hatch of its class in Singapore. Offering top-of-the-line interior, with the sunroof and alcantara leather seats, the 1.8 QV comes equipped with sports suspension and exhausts, 18-inch alloy wheels, and Brembo brakes. Come and experience Alfa's racing DNA, Alfa Giulietta 1.8 QV! IAS Members are entitled for exclusive leasing rates, call 6474 2200 and S$5,000 worth AlfaCare Credits with every purchase of the Giulietta 1.8 QV. Algebra Ltd Pte is a complete business solutions hub for company’s start up, management and business development in Singapore and South East Asia. The company is run by Chartered accountants qualified in Singapore, UK and Italy with decades of Qualified Professional Experience, based in Singapore and Italy. We provide the following services: Tax Advisory (Individual – Corporate) Italy, Singapore, Company Set up, Administrative Services, Company Secretary Services, Accounting Services, Payroll and Visa Services, CAF (Modello unico, 730, 770 and all the AGENZIA ENTRATE requirements). IAS members can enjoy 15% discount on all services. On The House Pte. Ltd. are importer and distributor of a Boutique winery from Italy in Singapore. Our portfolio consists of a fabulous range of sparkling and still wines. Almost all our Italian wine labels are DOC & DOCG. The varietals with good vintage include Amarone, Ripasso, Pinot Grigio, Soave in still categories, and Rose, Cuvee and Blanc de Blanc in Sparkling wines. Discount offered to IAS Members: As part of our partnerships with IAS members, we will offer special discount of 10% on the retail price on our Italian wine labels, towards the members buying from various designated platforms of IAS. The discount on other activation organised by On The House in general and is not aimed only to IAS members, need to be discussed and agreed between both the parties, on per activation basis. 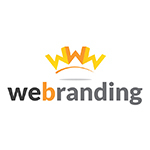 weBranding offers the costs and the timelines contained of a young web agency, with the experience of members and partners, acquired in fifteen years of experience in the Web Development industry, the Web Marketing and New Media. The young startup based in Milan - founded by David Carollo - has numerous collaborations and projects: from the tourist industry to academia, from small and medium enterprises to large international brands. weBranding caters to companies and organizations which have the aim to develop strategies through branding, marketing and presence on the Net. V SENSI is Food & Beverage Consultancy and Lifestyle Firm. Started in Singapore, the company offers advice, training and support for creating start-up, improve new or existing concepts for Independent/Group of Restaurants, Private Clients, Boutique Spa Resorts, Wine Bistro Bars, Deli and Wellness & Yoga Health Retreats. V SENSI helps clients to improve revenue and profitability in their food businesses while challenging existing boundaries. IAS members can enjoy 5% discount on all services. Except on selection of Wineries in Italy and International. T&S applied. HealthyGourmet.sg is an online shopping platform offering the largest selection of organic Italian products under the brand Alce Nero, amazing balsamic vinegar from Modena under Ortalli, truffle pestos under Posillipo and many more. Free delivery for orders of 50$ and above. IAS members can enjoy 10% discount code to use during checkout "IAS10". Italian wines in Singapore supplied through our sales organization or delivered at your doorsteps in 24 hours via our on-line shop. We, at The Italian Wine List, believe that our quality products and our support will be able to fulfill every single of our customers’ drinking expectations. 20% off the price of all products sold.